At the beginning of this year the Rite of Passage organization started working with CardsOnline. Together with our partner Laminex we deployed the ID card solution in the cloud. Rite of Passage now provides ID card production and management to all their locations from one central online system. Connected with their HR System, CardsOnline 6.3 creates a full integrated system for enrollment, printing and issuing of multi-purpose employee ID cards. Laminex provided all locations with an ID Card Printer and supplies to print the cards. 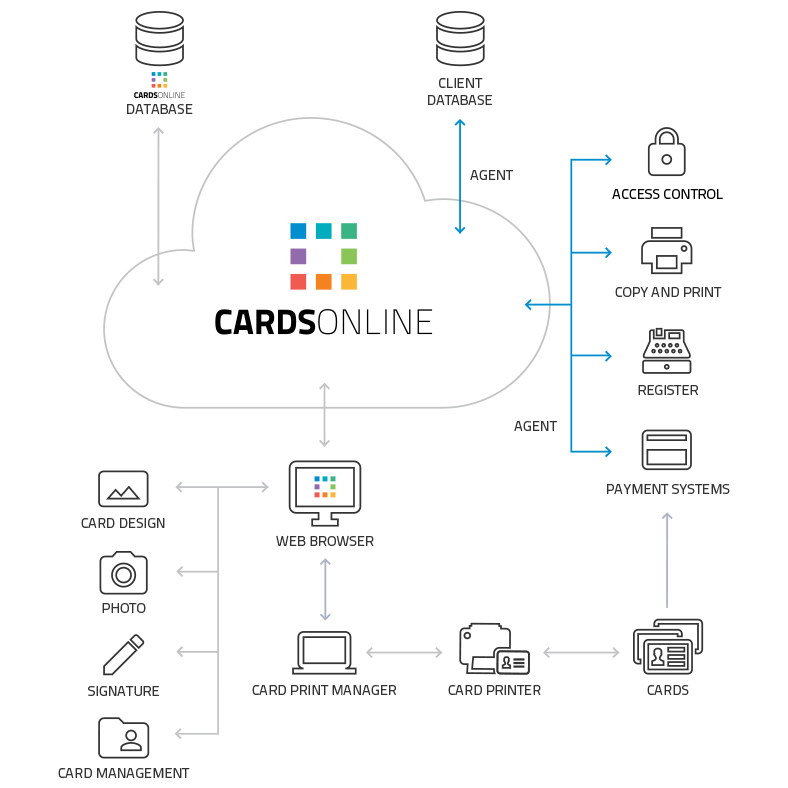 CardsOnline is installed on a dedicated, secure Microsoft Assure server with a webservice interface connecting to the Rite of Passage HR-system to import employee data. The organization uses a contactless proxcard for acces control and prints the cards on a single sided card printer. The card design created in CardsOnline contains a barcode for scanning purposes.